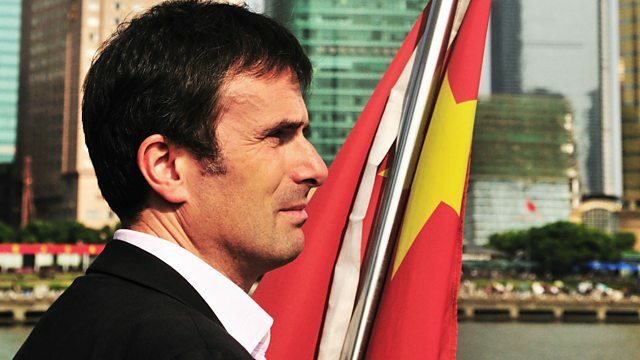 Robert Peston asks how Britain can compete in the new world economic order. After years of living beyond our means, can we wean ourself off our dependence on consumer spending? In the teeth of the worst financial crisis in living memory, BBC Business Editor Robert Peston examines how the world got to this point and how the collossal imbalances in the global ecoonomy have left the UK in need of a radical economic overhaul. In the second of two programmes Peston asks how Britain can compete in the new world economic order. After years of living beyond our means the country surely needs to wean itself off the consumer society, but doing so threatens our retail dependent economy. In Germany the model of thrift and investment, far from the quick buck mentality of the City of London, has produced a powerful manufacturing and exporting economy that Britain, once so proud of its modern finance based approach, is desperate to imitate.